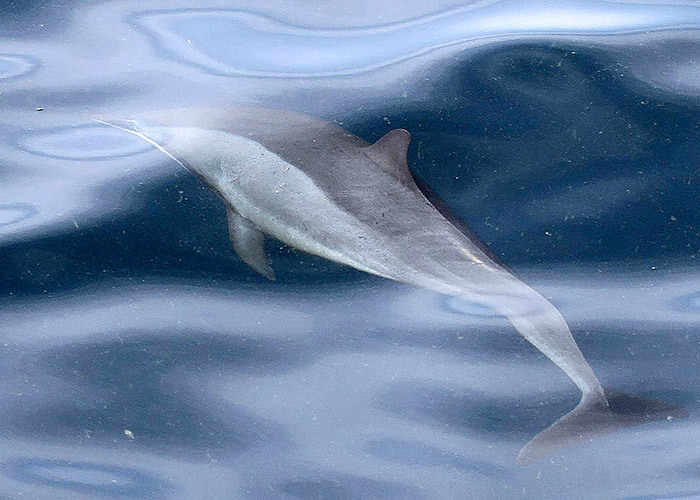 Spinner dolphins seen off Fujairah are unusually small, less than two metres in length, and have a long, slender beak. The dark black back and top of the head are separated from the distinct white belly by a broad grey flank band; a tripartite colour pattern, clearly visible on bowriding individuals. A dark stripe runs from the flipper to the eye, adding contrast to the stark white throat. The dorsal fin is relatively small and tends to have a darker trailing edge. Their habit of leaping up to three metres in the air and spinning like a barrel, before slapping back down into the water, sets them apart from all other species and gives this dolphin its common name. Large schools of spinner dolphins, containing up to 1,800 individuals have been observed in the Arabian region. 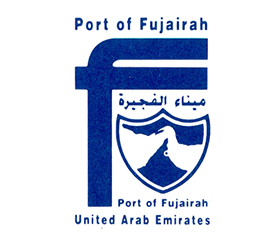 However, schools of 20-300 individuals are more common off Fujairah. Calves, juveniles and, presumably, adult females apparently form nursery schools often keeping to the centre of the group.  This species sometimes forms mixed schools with striped dolphins and pantropical spotted dolphins and apparently also associates with tuna. 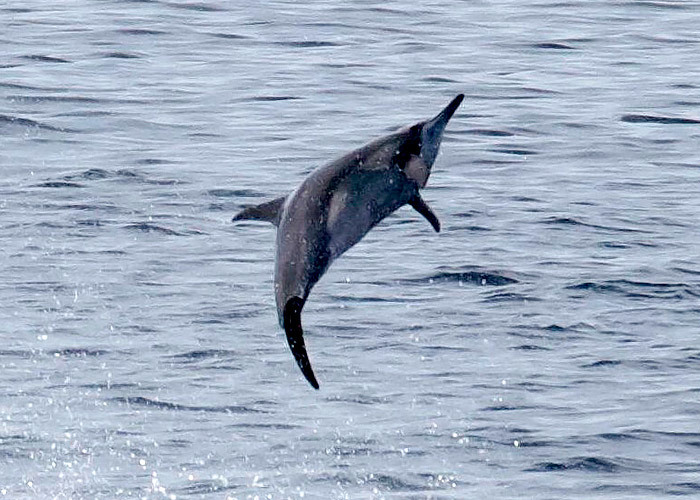 The diet of spinner dolphins in the region is known to include small fishes. Their small size and relatively long beak is among features that separates spinner dolphins in the Arabian region from those in other oceans of the world and it is likely that they represent a subspecies that is distinct from the three or more existing subspecies. Spinner dolphins are considered by IUCN to be data deficient.